After last week’s home opener against Elon was cancelled indefinitely (thanks, Florence! ), William & Mary will move to its third consecutive road game to start the year. The Green and Gold’s “Week 4” opponent is none other than the mighty James Madison Dukes, hailing from the great Harrisonburg, Virginia. Yes, JMU is still as good as ever, ranking as high as #2 in the FCS — with many arguing that they should be #1 (North Dakota State currently holds that distinction). Despite all the chest pounding currently taking place in the lesser ‘Burg, W&M is coming off an impromptu bye week, and has been given additional time to rest and game-plan for the contest. We’re not suggesting that our Green and Gold should be favored against the Dukes, quite the contrary. The purple people come into this game riding a CAA-record 18 consecutive conference wins, dating back to Halloween 2015. Remember which team the Tribe played on October 31, 2015? We do. It was the James Madison Dukes; #16 W&M knocked out #9 JMU, winning 44-41 in a Zable Stadium-hosted shootout. In fact, in three out of the past four seasons, William & Mary has either beaten JMU (one time) or fallen by just one score (2 times). It’s a real in-state rivalry, and one we hope will be rekindled in Jimmye Laycock‘s last-ever game in Harrisonburg this Saturday. Read it and weep, Tribe fans. JMU has dominated the league over the past several years, winning a National Championship two seasons ago before falling to the dynastic North Dakota State Bison in last year’s National Championship. 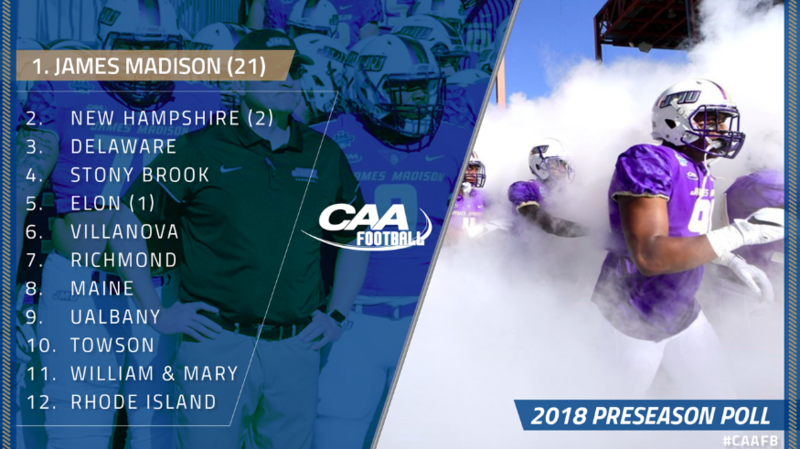 Coming into the year, the Dukes were the overwhelming favorite to repeat as CAA champions, garnering 21 of 23 possible first-place votes in preseason voting. And with the way New Hampshire has looked so far this year (0-3, largely due to an injury to their stud QB), JMU would probably hold all 23 votes if the votes were recast today. Through three games, the Dukes have largely picked up where they left off last season. The team put a little scare in NC State to start the year, losing by a respectable 24-13 margin, before rattling off two lopsided victories against Norfolk State and Robert Morris. In JMU’s last two contests, the Dukes won by a combined score of 90-7. And yes, they beat poor, little Robert Morris last week 73-7. Ouch. The Dukes are riding high, and are undoubtedly hitting their stride to start CAA play. They’ll look to extend their record 18-game conference streak on the back of their #2-ranked scoring offense, which averages 34.3 points per game. This unit is led by the ground game, which is also #2 in the CAA, currently averaging 218.3 rushing yards per contest. But don’t think that JMU can’t throw the ball — they simply haven’t had to this year. After jumping out big the last two weeks, the Dukes have largely elected to play it safe by running the ball more as the games progressed. Oh, and their defensive unit isn’t bad either. JMU is currently tied as the #1-ranked defensive scoring unit, only allowing opponents a meager 10.3 points per game. Think of this year’s JMU as an FBS opponent, and you’ll be in the right frame of mind for this weekend’s game. W&M will have to execute on all cylinders to pull the upset on the road this Saturday. QB Ben DiNucci (#6): Following the graduation of JMU all-time passing leader Bryan Schor, there were big shoes to fill at the QB position this offseason. Enter Ben DiNucci. DiNucci transferred to JMU after spending three seasons at Pitt; at Pitt, he made six starts at quarterback as a redshirt sophomore. Seeing no future there, he packed up his bags and moved to Harrisonburg, VA to become the Dukes starter as a redshirt junior transfer. And so far, it’s paid off for both DiNucci and JMU. Through three games, the quarterback has thrown for nearly 400 yards, 4 touchdowns, and 0 interceptions. He also averages 61 yards on the ground per game. 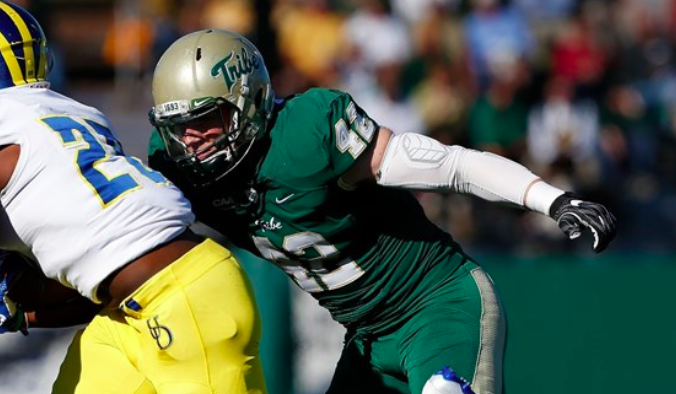 Keeping DiNucci contained will be key for the W&M defensive line. 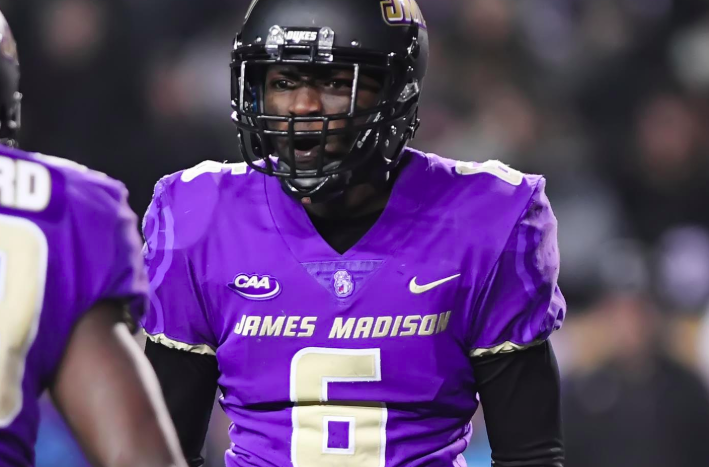 CB Jimmy Moreland (#6): Basically, if you wear #6 for JMU, you’re pretty good at football (note that DiNucci also wears the number). Long-time JMU cornerback Jimmy Moreland has made a name for himself in the CAA — sometimes good, sometimes bad. Following a suspension/dismissal in 2015, it appears that Jimmy has been on his best behavior ever since he was reinstated. Just last season, Moreland finished as a First Team All-CAA Cornerback, with 68 total tackles (44 solo), to go along with 2.5 tackles for loss, a half sack, eight interceptions, two fumble recoveries and 14 pass breakups. The Dukes sure are happy he’s worked out off the field, as his success on the field is undeniable. He’ll look to shadow W&M’s star wide receiver, DeVonte Dedmon, on Saturday. RB Marcus Marshall (#29): When talking about JMU’s rushing offense, it really is an embarrassment of riches. There are three, maybe four, bonafide starters stored within the coffers of JMU’s vaunted ground attack. Currently, former Georgia Tech transfer Marcus Marshall leads the way. The star back is averaging over 8 yards per carry on 21 attempts, with one touchdown. He has home run-hitting ability, and is a threat to take it to the house every time he touches the ball — whether it’s from the opponent’s 20-yard line or JMU’s own 20-yard line. The senior, and the rest of JMU’s run game, absolutely need to be contained this Saturday if W&M is to have a chance. S Adam Smith (#21): Following a season that saw him contribute primarily as a special teams player, junior Adam Smith has proven himself as a bonafide addition to the JMU defense this season. Smith currently leads the team with 10 solo tackles, and is 2nd on the team in total tackles (16). He’s a safety that has a nose for the ball; with corners such as Jimmy Moreland locking down opponents’ wide receivers, the Dukes are apt to bring Smith down to help stop the opponents’ run game, as well as the short-passing game. Look for #21 to be around the ball this week. Control the Clock: Time of possession is key in this game. Against a superior opponent, the Tribe needs to establish a strong run game early and often if it is to keep the score within striking distance. JMU’s defense is tough to beat, but we’d rather take our chances against that unit than with an incredibly strong offensive power. Keep the Dukes’ offense off the field as long as possible, give the Tribe’s defense a breather, and the Green and Gold will have a shot. Contain JMU’s Run Game: We know what the Dukes are. They’re an incredibly strong ground and pound team. That’s not to say that DiNucci can’t throw the ball. He can. But JMU has a trio (or four) backs that should strike fear in opposing defenses. Let’s not forget that DiNucci can also run — he actually leads the Dukes in rushing yards. W&M captain linebacker Nate Atkins will need to have a big game, clogging holes behind W&M’s defensive linemen, who will also need to gain the upper hand on JMU’s offensive line. Get the Ball out Early: W&M’s young QB, Shon Mitchell, will yet again find himself in a hostile environment on Saturday. Against Virginia Tech two weeks ago, in front of a raucous Lane Stadium, Mitchell held up encouragingly well, finishing 14 of 24 for 208 yards, 1 TD, 0 INT. Suffice to say, turnovers could turn this weekend’s contest into an ugly one early. 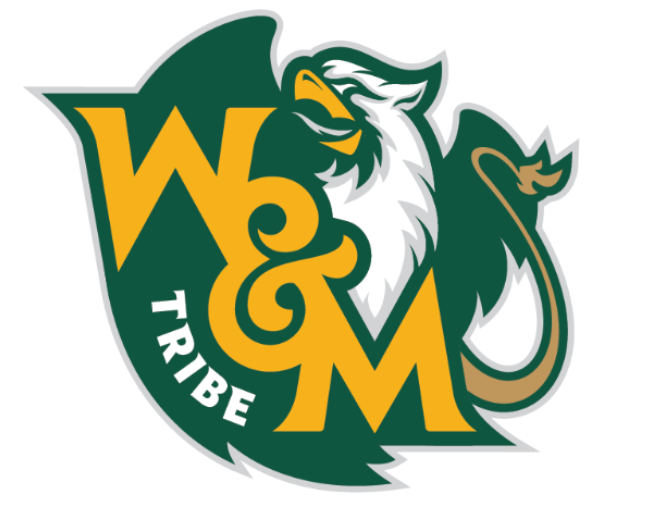 W&M will need to get the ball out of Mitchell’s hands quickly and to the Tribe’s running backs and wide receivers from the get go. Limit JMU’s Big Plays: Just like when W&M plays FBS opponents, limiting the opposition’s time of possession and big play ability is paramount to success. The Dukes have been known to gash opposing run defenses for multiple years now, and this year is no different. The Green and Gold need to get a hat on the ball the second it’s out, and wrap up when given the chance. If JMU breaks one tackle that could have been made by a W&M defender, it’ll likely be off to the races on Saturday. Watch: NBC Sports Washington (TV) & Streaming — find the link here! It’ll be tough — perhaps as tough as playing against Virginia Tech. The route to victory for W&M is clear: control the clock, limit JMU’s big plays, force turnovers, and score just enough points to get the job done. Obviously, there are several variables at play here, and any one category mentioned above can make or break the game for the Tribe. Just remember, despite what this matchup looks like on paper, this is still an in-state rivalry. 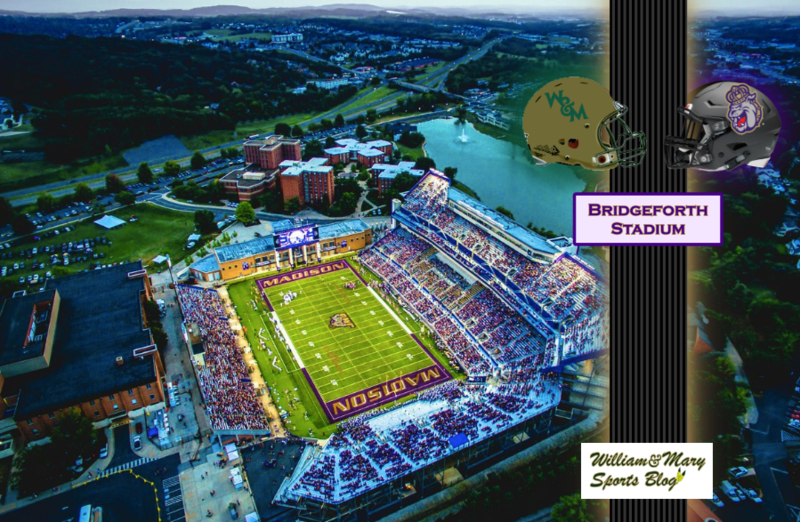 In 2012, a William & Mary team that would finish 2-9 forced the #3-ranked JMU Dukes to 2OT at Bridgeforth Stadium, before falling after the Tribe failed to convert a 2-point conversion to win the game. While these are not the same Dukes, W&M has shown, even in down years, that it is capable of playing the purple people close — yes, even on the road. Excellent write-up. Good luck to you all. GO DUKES! (JMU Fan) Well written preview; though you did leave out that the JMU 17-0 win in week 2 was in only 15 minutes of play (they called the game due to lightning). I know W&M will play JMU tough. I don’t care what it says on paper, rivalry games defy that kind of analysis and the players are always ready to go (a tribute to Laycock if there ever needed one). In a season of CAA “upsets” i’m just hoping this isn’t another one.